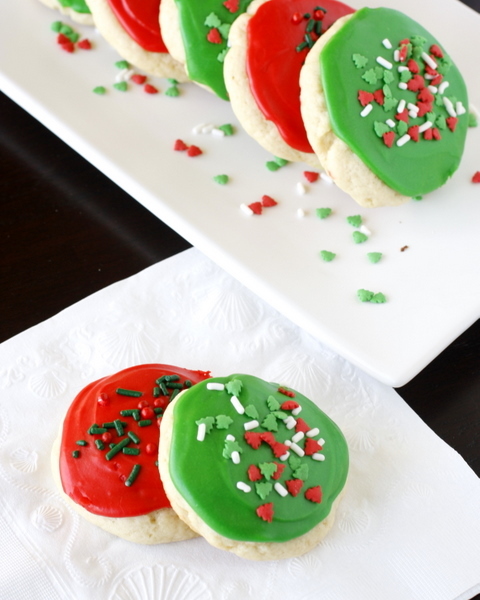 These homemade Lofthouse sugar cookies are soft and fluffy with a thick and creamy icing on top! I knew I had to have a great recipe to kick off the 12 Days of Christmas Treats 2011, so I’m starting with one of my absolute favorites! 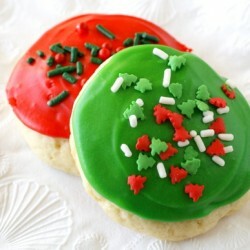 Are you familiar with those soft Lofthouse sugar cookies that pop up in grocery stores around all the holidays? The kind with colored icing and sprinkles? If you are a fan of those, you are going to LOVE this homemade version! I’ve been looking for a homemade version for awhile now and I’m so happy to tell you I finally found it! These sugar cookies are so close to the grocery store staples that I almost couldn’t believe it. From the soft and fluffy cookie to the thick and creamy icing…these cookies are good! To make the cookies, preheat the oven to 350˚ F. Line baking sheets with parchment paper or silicone baking mats. In a medium bowl combine the flour, baking powder and salt, and whisk together to blend. In the bowl of an electric mixer, combine the butter and sugar and beat together on medium-high speed until soft and fluffy, about 2-3 minutes. Beat in the eggs one at a time, mixing well after each addition and scraping down the bowl as needed. Blend in the vanilla. With the mixer on low speed, add in the dry ingredients mixing just until incorporated and evenly mixed. Cover and chill the dough for 1 hour. 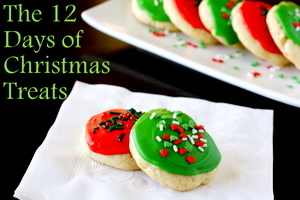 View All 12 Days of Christmas Treats here! 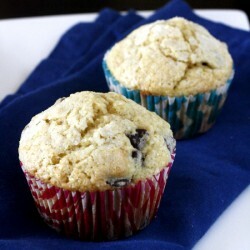 Oh yum—love these! I’m always tempted by them at the store; a make at home version would be extra dangerous! I might have to make these and hide them from the family so I can have them all to myself!! These are so pretty! Love the bright frosting and sprinkles…perfect! Just started reading your blog and am really enjoying it. I’m looking forward to reading the rest of your 12 days of christmas treats this year! I’ve already gotten some fabulous ideas for gifts (homemade peppermint patties?? Genius!). Thanks again! omg!! I love these. My sister and I call them cupcake cookies. They remind us of eating a cupcake. YUM! The colors look wonderful! These look so good. Has anyone tried to freeze them. (before frosting?) just wanted to get a jump start on my baking. Thanks. I made these yesterday and they are amazing!! I am loving all of your Christmas treats, thanks for sharing! Only problem I have is deciding which ones to try lol. 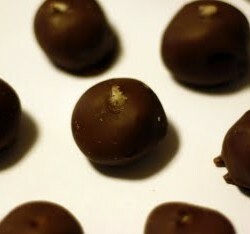 going to make these today. 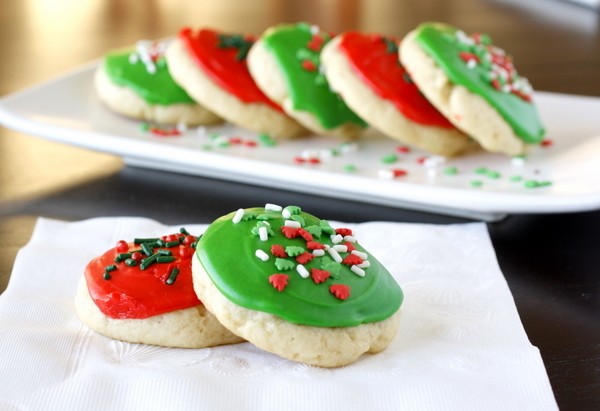 I have tried many sugar cookie recipes and they have never turned out. 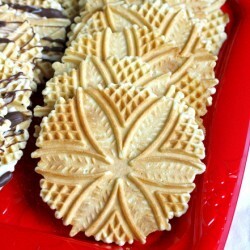 These are one of my favorite cookies so I hope they turn out. They are going to go in the freezer after I frost and decorate them. Megan…just frosted the cookies…don’t think they will make it to the feezer, they are so, so good. Thanks for all the great cookie ideas, the hardest thing for me now is to decide which to make for Christmas. Uh…decisions, decisions! Looking forward to making these. Does anyone know if this will work to make cutout cookies….or will rolling the dough compress it too much, so that they don’t turn out right? Thanks! These taste like butter cookies not loft house I’m REALLY disappointed!!! 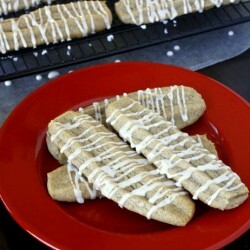 Making these right now!!!! They look delicious!!!! I love the way you have put this site together thanks to you I have several new favorites!! (not complaining here just wondering) I noticed that some of the recipes do not have a …makes so many per batch…. to give people an idea of what they will end up with. Was wondering if you had an estimate for this recipe in particular thanks in advance. I just made these for Easter and they were ABSOLUTELY delicious!!!! The funny thing is, I don’t even like sugar cookies and I couldn’t put them down. Thanks for the great recipe! !